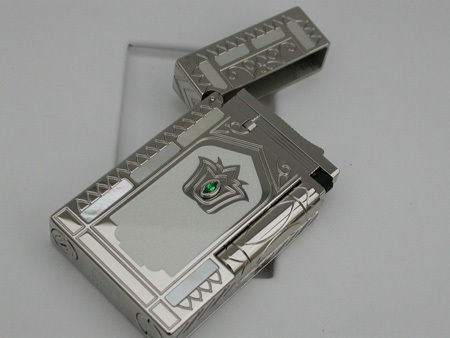 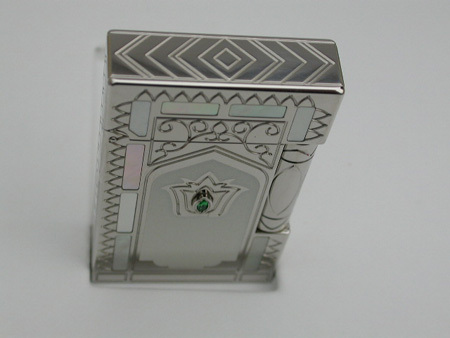 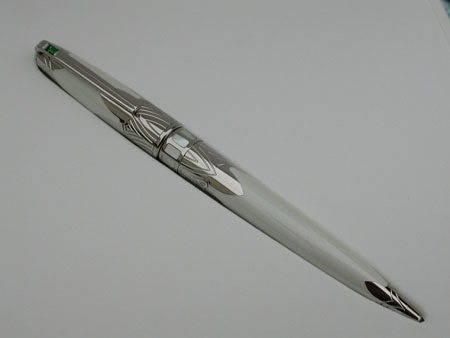 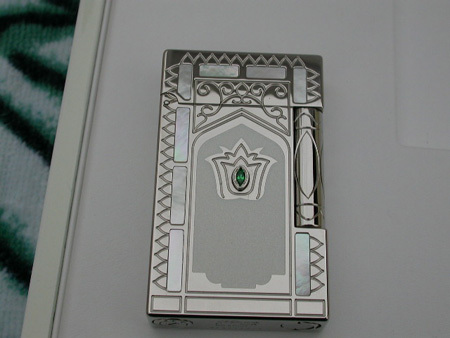 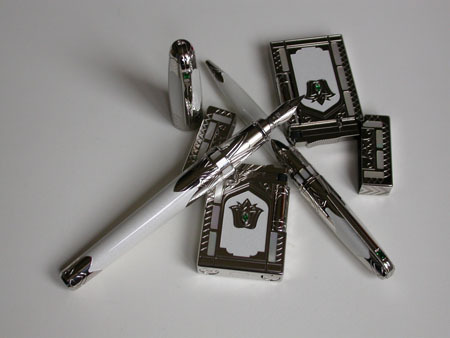 The line 2 lighter is skillfully crafted in platinum, eleganly guilloched (machine tooled), mother-of-pearl inlays, pearlized Chinese lacquer and green alpinite complete the masterpiece. 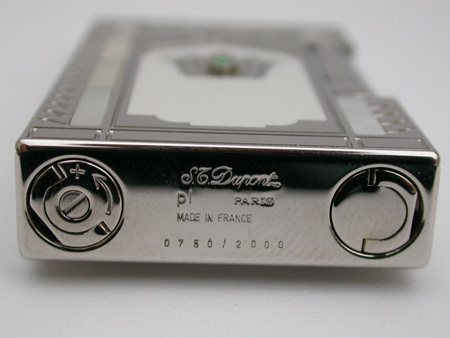 The lighter is brand new with all original factory boxes and paperwork. 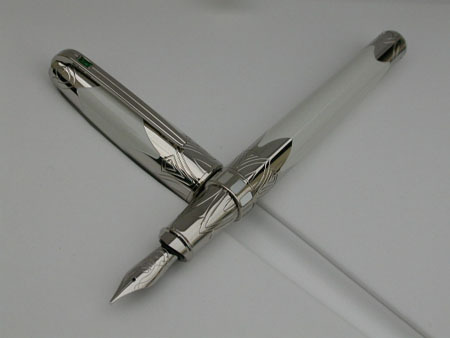 Extremely beautiful and very hard to find in this condition these days.